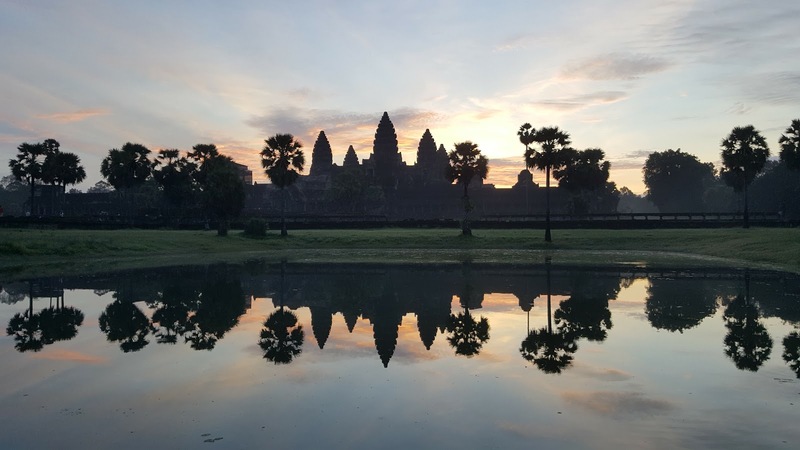 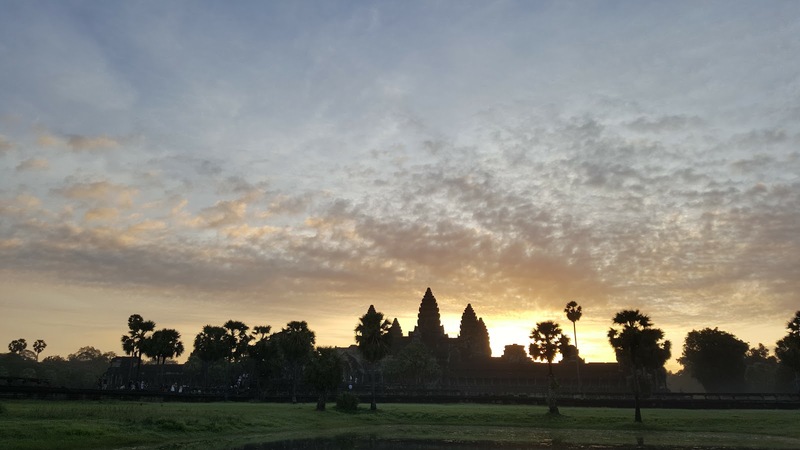 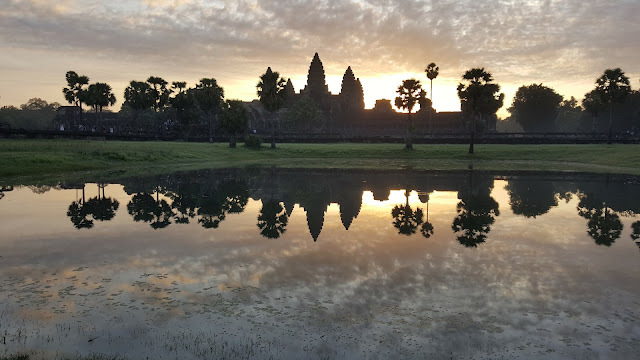 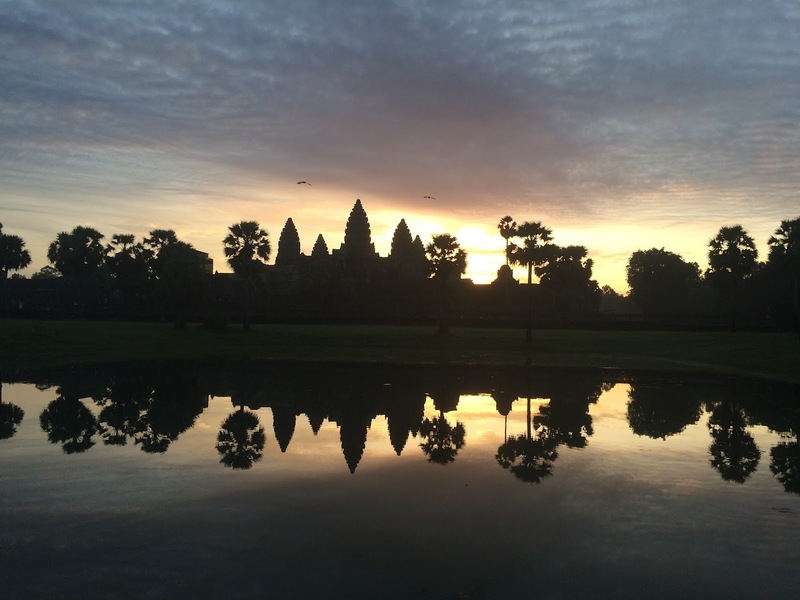 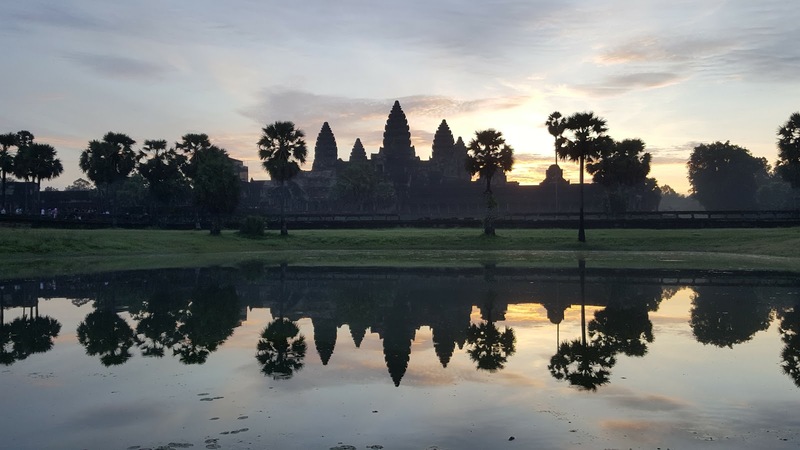 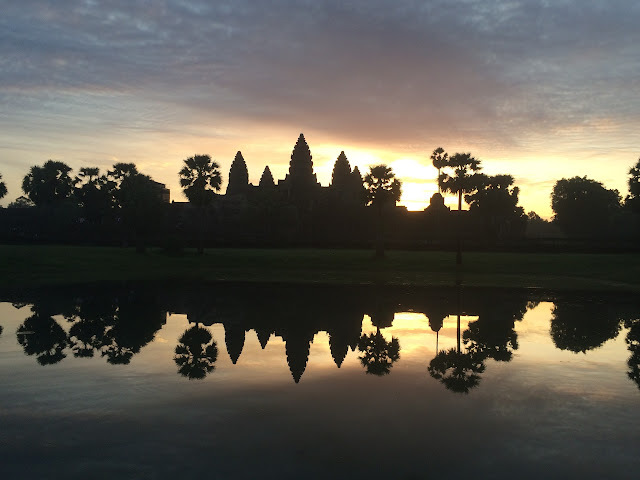 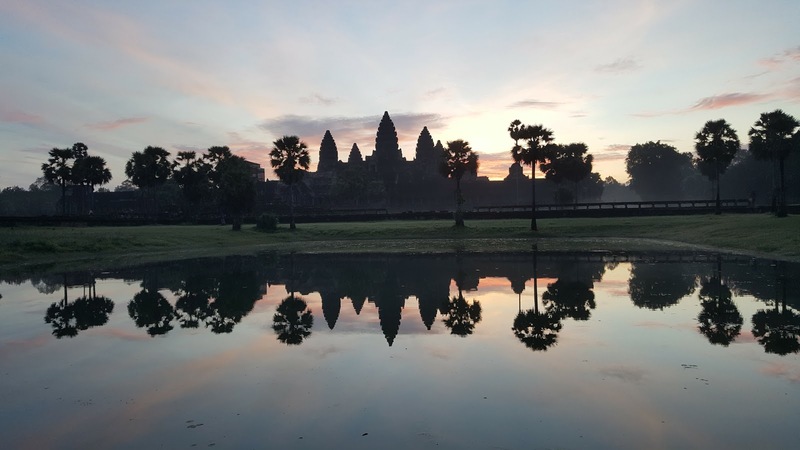 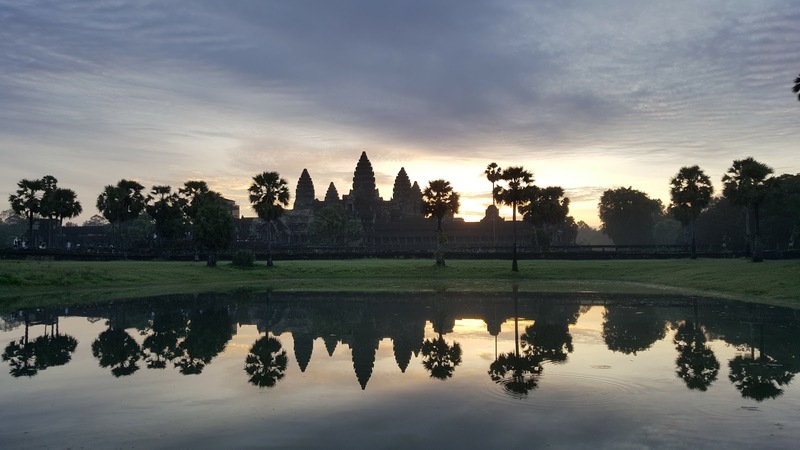 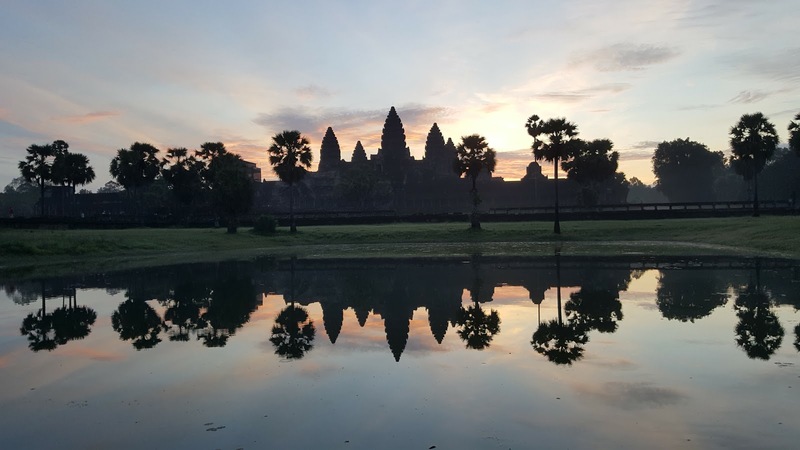 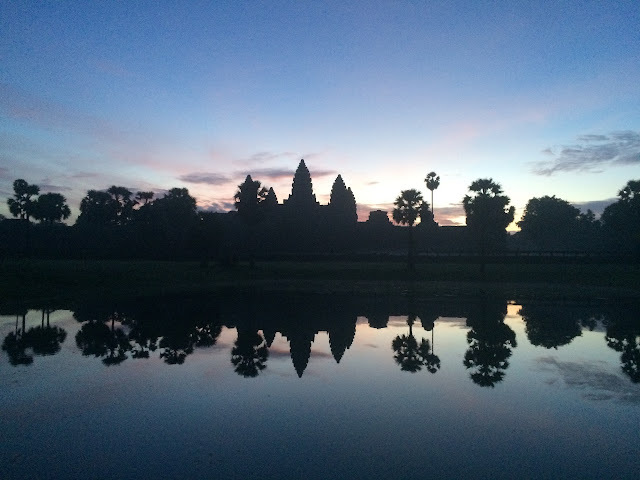 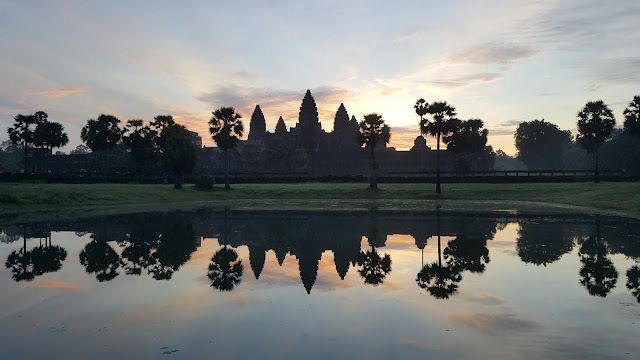 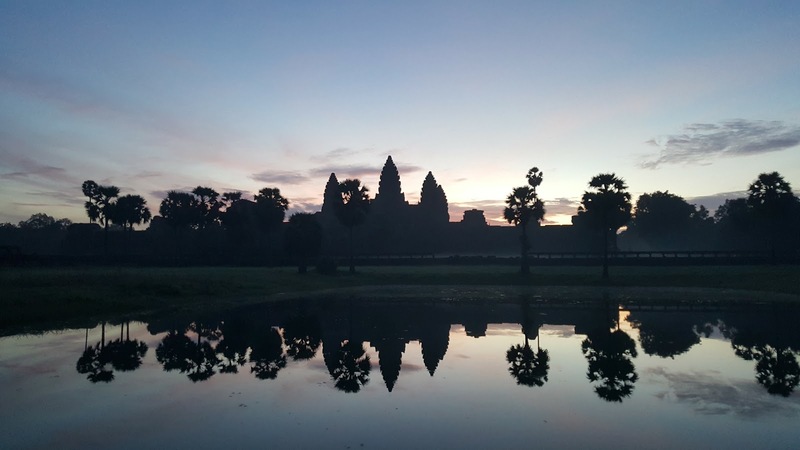 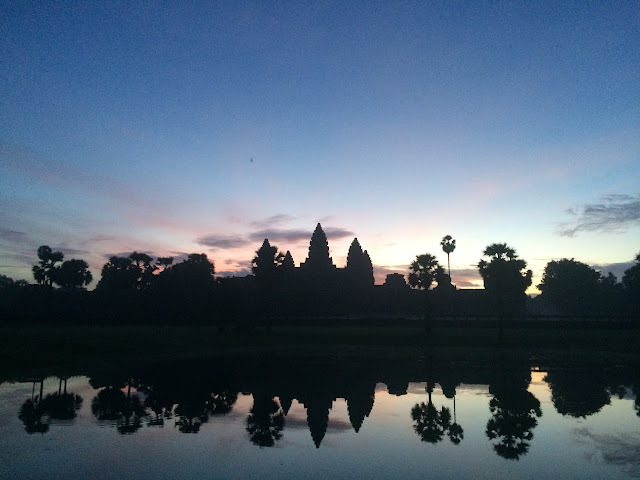 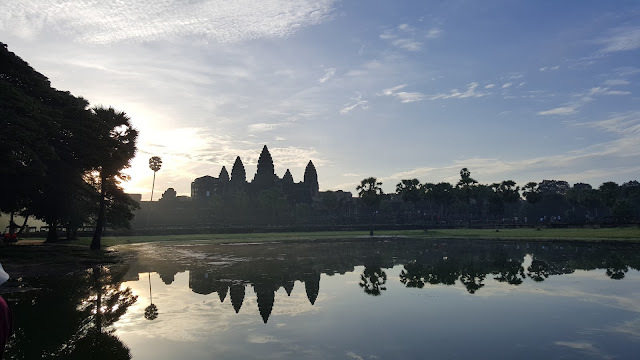 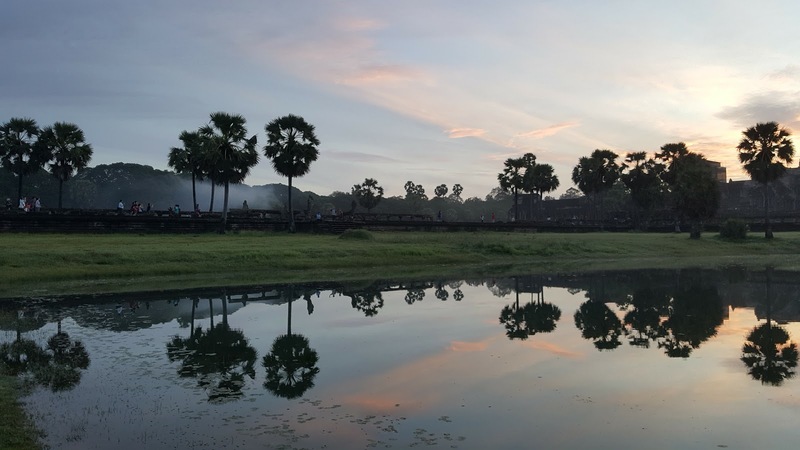 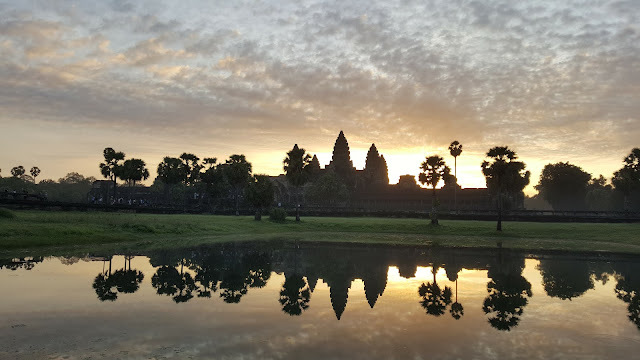 Early this morning, we scrambled to get to the Angkor Wat just in time to view the amazing sunrise. 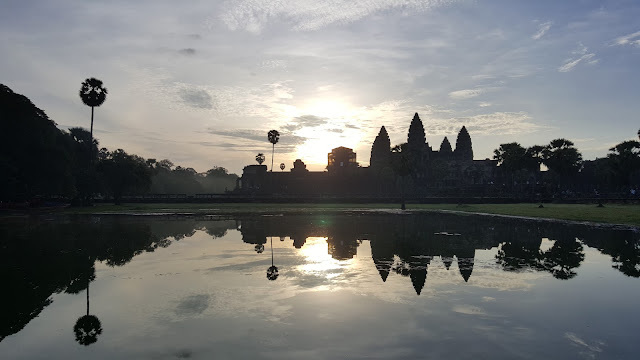 Visiting the Angkor Wat isn't cheap - access to the archaeological site is ticketed, a three day pass costs USD 40 per person. 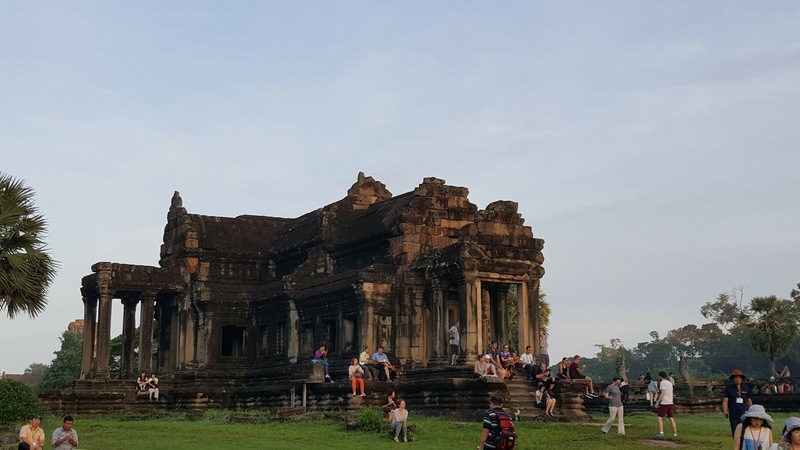 This pass covers all the locations within the archaeological zone. Frankly, yo can even buy a day pass, but visiting all the sites within the zone is infeasible. 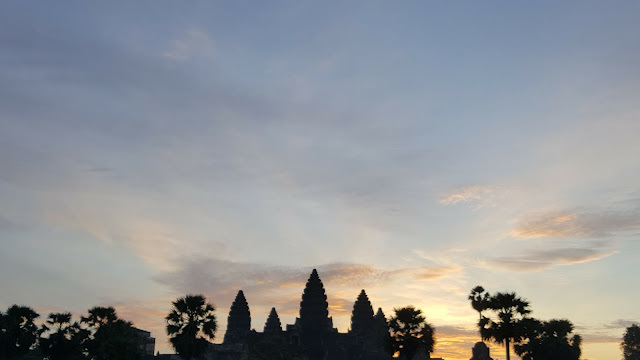 One would have to buy a three day pass to make the most of the visit here. 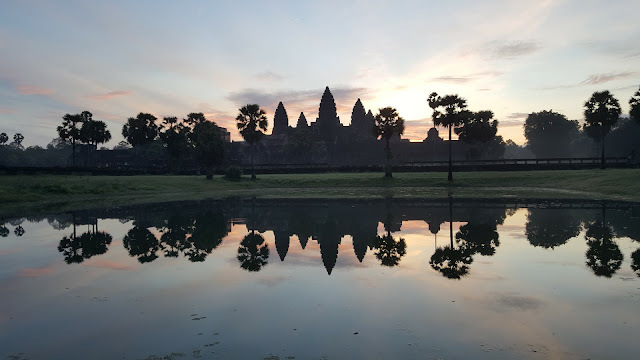 And the it is going to get even more expensive - our guide told us that from February 2017, the prices will go up to USD 62 for a three day pass, which is quite steep. 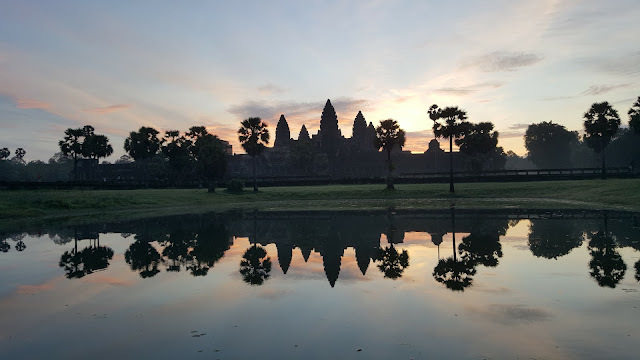 And honestly, there is not much to write about in this post than to enjoy the wondrous interplay of nature and history!